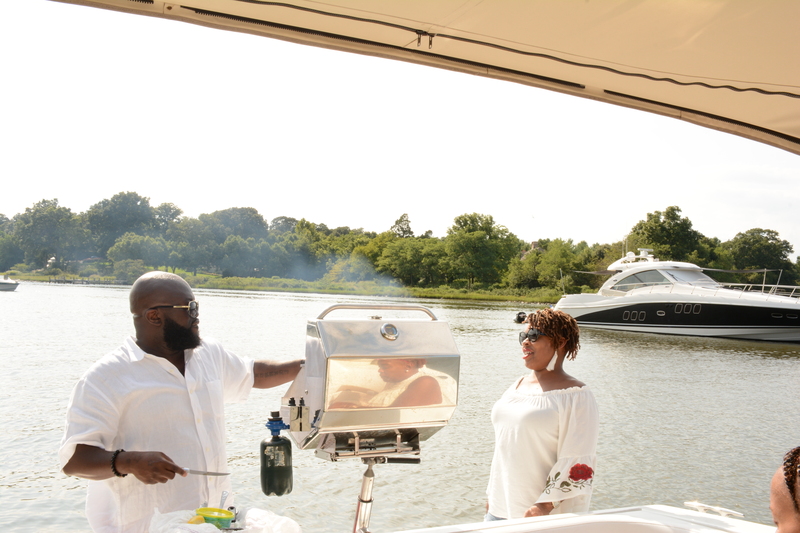 Join us for a exciting cruise on a private yacht with your loved ones, cruising the Chesapeake and Annapolis & enjoying the fireworks and different attractions with a cold beverage and delicious catered treats, the Island Chill’s professional sales staff can help you plan every detail. Depart at Londontowne Marina on either Therapy - 43' sailboat or Irie Vibes - 34' powerboat seating up to 6 guests for a cruise that you'll memorable for a lifetime! Monday, May 30, Celebrate Memorial Day with your loved ones cruising and sailing along the South River, Chesapeake Bay & see the beautiful wild-life refuges. There are lots of activities to do on the waters, swim, visit secluded creeks, anchor, BBQ, listen music and enjoy the scenery. If for any reason we will continue to sail the scheduled public cruise. No adjustments will be made to the price since our crew will do our very best to make the cruise enjoyable without the entertainment. If the captain cancels the cruise due to unsafe conditions, a refund will be issued for the cost of the sail but not the catering, the box lunch will be available for pick up. 4th of July fireworks are subject to change. Please ask us about our special cancellation and refund policy for these charter packages.